“This is a very dire time for human rights in Russia,” according to the Russia programme director for Human Rights Watch, Tanya Lokshina, speaking ahead of the start of the 2018 Football World Cup, which kicked off in Moscow earlier today. Since Vladimir Putin became Russia’s president again in 2012 there has been a “staggering human rights clampdown”, she told the Australian Associated Press last week. Among the challenges facing Russians is the clampdown on religious freedom since the introduction two years ago of the so-called “anti-missionary law”. Under this law, prosecuted individuals face heavy fines, up to six years in prison, and, for foreigners, deportation. 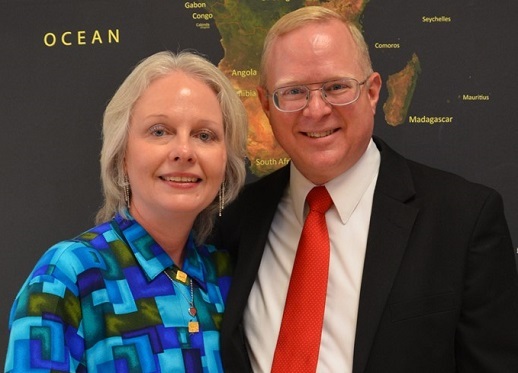 An American missionary, Donald Ossewaarde, who was based in the Russian city of Oryol, was one of the first convicted under the law. In March 2017, he filed an application to the European Court of Human Rights arguing that his right to religious freedom had been violated by the law after he was found guilty of conducting “illegal missionary activities”. He had been holding weekly Bible meetings at his home for 14 years before the introduction of the law. Ossewaarde left the country after his unsuccessful appeals in Russia, and the ECHR approached the Russian government in July last year with a number of questions, though regional news agency Forum 18 said last month that it is not yet known whether the government has responded. “There is no sign that … persecution of religious minorities and foreign missionaries is coming to an end,” the United States Ambassador to the Vatican, Callista Gingrich, said yesterday (13 June) during a roundtable discussion on the Ukraine, held at the US embassy in Rome. “Today, Russia ranks among the worst violators of religious freedom and human rights,” she said, as reported by Catholic newspaper The Tablet. In February the US Commission on International Religious Freedom criticised the so-called “anti-missionary law” – officially titled the Yarovaya Law, after one of its authors – which was formally introduced as an anti-terrorism measure in July 2016, saying “vague and problematic definitions of ‘extremism’ in Russian law give the authorities wide latitude to interfere in peaceful religious observance and persecute believers”. A court in Russia recently handed down the longest known jail term for a religious meeting in the country. A Muslim man, Ilgar Aliyev, was sentenced on 28 May by a court in the Dagestan republic to eight years in jail and two years of restrictions for “leading and involving others” in the study of books written by the late Turkish theologian Said Nursi. According to Forum 18, “law enforcement typically interprets this as continuing the activity of the banned extremist organisation ‘Nurdzhular’, which Muslims in Russia deny even exists”. The longest known sentence previously for such a meeting was four years’ imprisonment. Aliyev has appealed the sentence but remains in detention. In February, the Islamic State group claimed an attack on a Russian Orthodox Church in Kizlyar, Dagestan, in which five people were killed and five others were injured. Meanwhile, at least 30 Jehovah’s Witnesses have been charged for criminal activities in Russia in the last six months, according to Forum 18. Last year Russia outlawed the group, shutting down its administrative centre and 395 local congregations, and seizing assets. The wives of Jehovah’s Witnesses who have been imprisoned wrote an open letter to Russia’s Council on Human Rights last week, which they called their “cry of despair”. Seven of the 32 competing teams in the World Cup come from countries that can be found on the 2018 Open Doors World Watch List of the 50 countries where it is most dangerous countries to live as a Christian. The charity says that Christians in Iran, Saudi Arabia, Nigeria, Tunisia, Mexico and Colombia “are not free to live out their faith without facing persecution – whether that be rejection, isolation, denial of rights and freedom, or even violence”. Russia, meanwhile, is on Open Doors’ list of “Persecution Watch Countries” beyond the top 50.